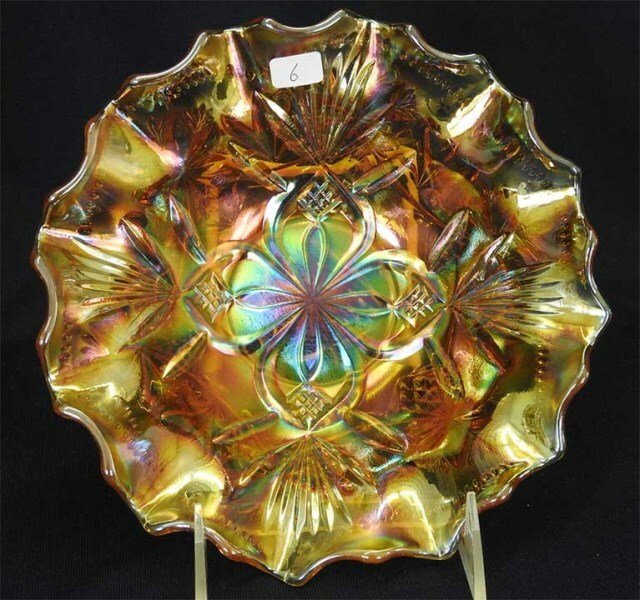 The book Carnival Glass of Australia, put out by the Australian Carnival Enthusiasts Association, says this about the pattern: “Shown in the Crown Crystal Glass Co. Ltd Catalogue, Page 22, number 319. Various shapes of the bowl are known. 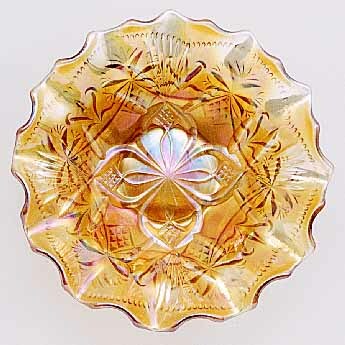 The name Bullrushes and Bush Orchids seems to be derived from the exterior pattern.” The bowl pictured is an 8″ bowl.